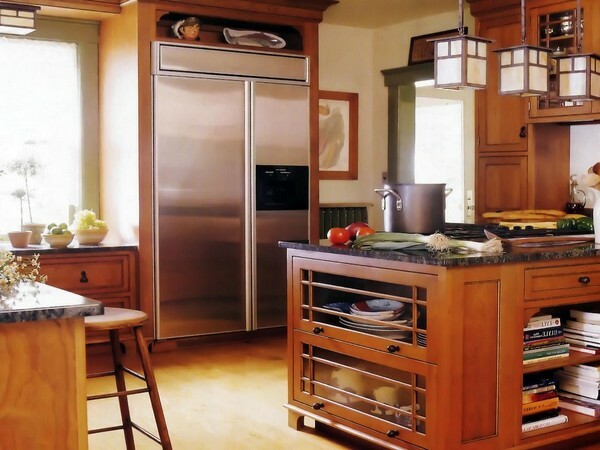 The function of the kitchen has evolved immensely over the years. A room that was commonly used to solely prepare meals now serves many more functions that transcend just food preparation. 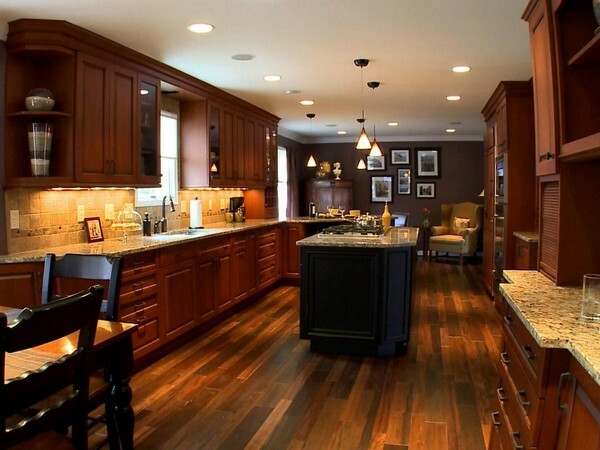 Many families now eat in the kitchen, as well as holding discussions and having entertainment. 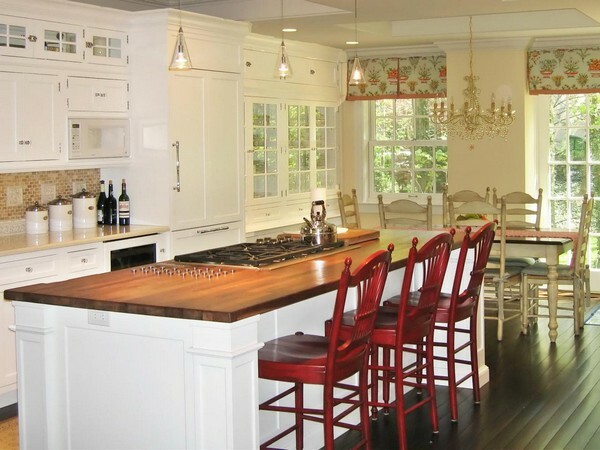 It is for this simple reason that it is important to put a lot of effort into the design and décor of the kitchen. 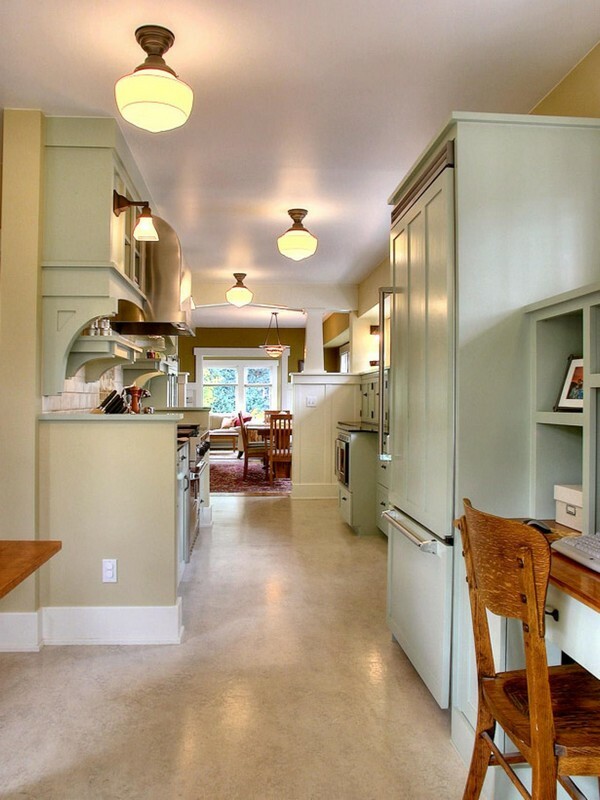 In this article, we show you the best ideas you can adopt in lighting your kitchen. 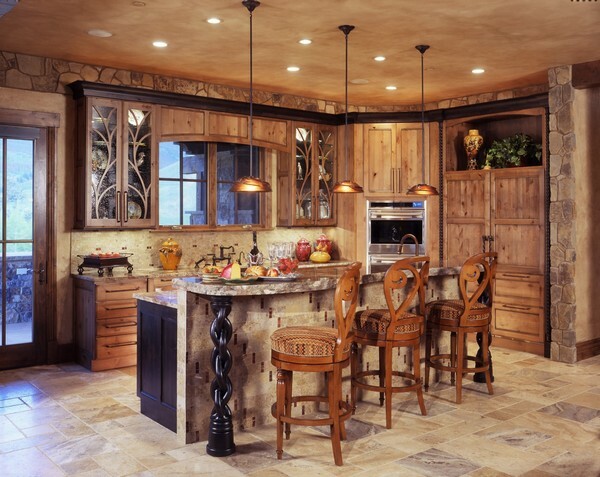 Pendants, island lighting fixtures, ambient fixtures such as recessed lights, fluorescent fixtures, track lights and chandeliers. 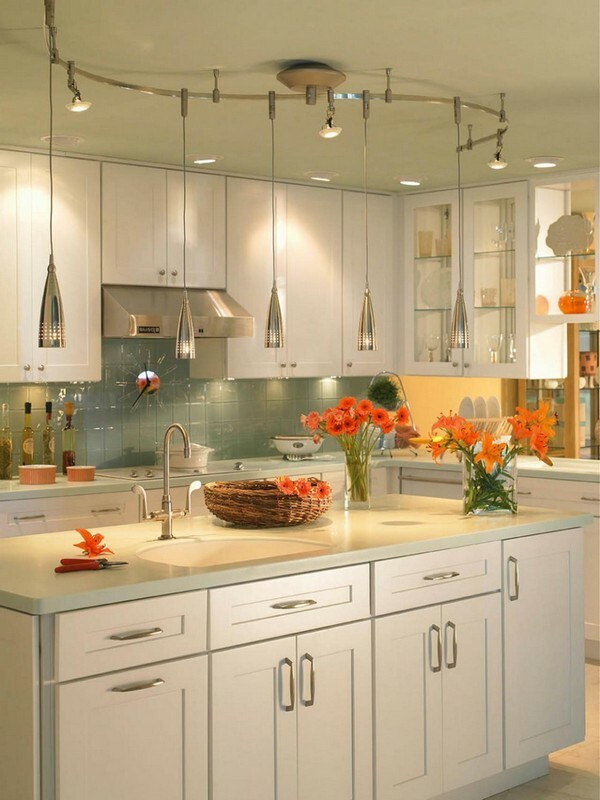 Pendant lights are more commonly used in kitchens than in any other rooms. 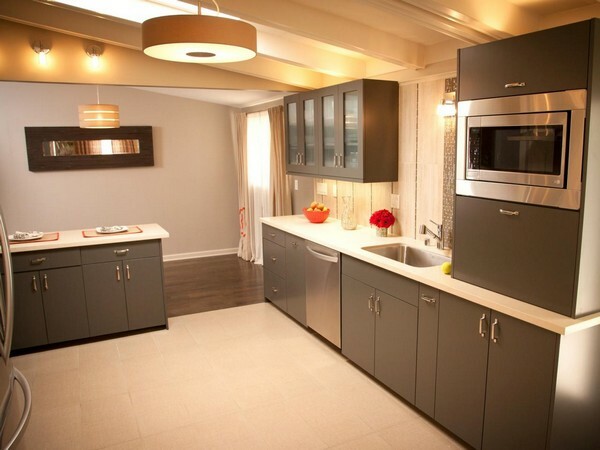 More specifically, they are used above islands and dining tables, which has the effect of providing light at lower levels than that provided by ceiling fixtures. 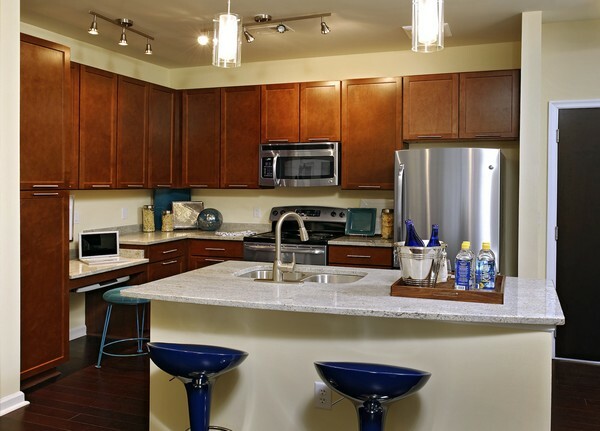 This creates better visual stimulation for the diners and those preparing food on the island. 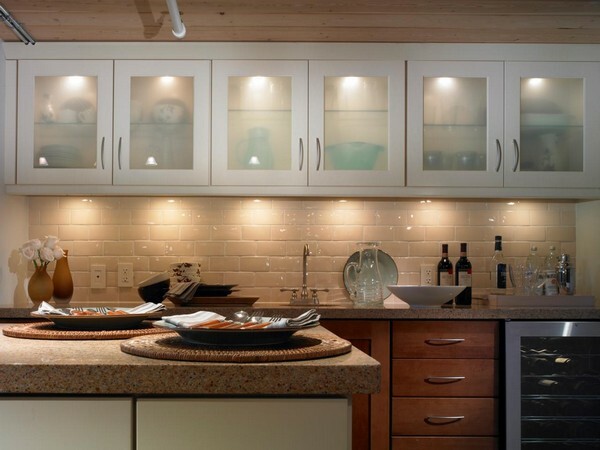 Under-cabinet lighting concepts are being embraced more since they not only provide task lighting at countertops below the cabinets, they also add charm and fun to the room, such as the glowing under-cabinet lights shown above. Also interesting is that these lights are hidden away from view, which results in a neater and more organized look. 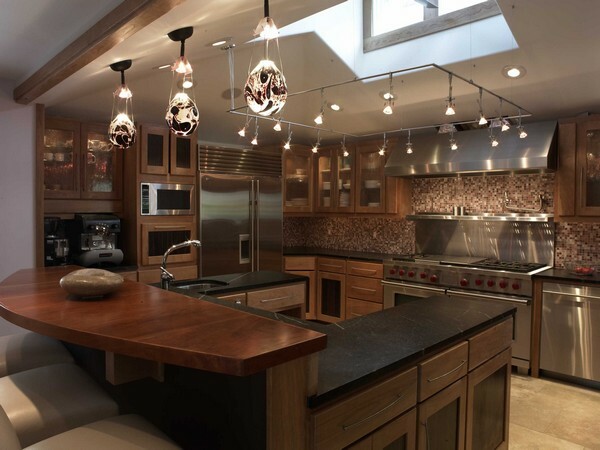 In terms of lighting, then this kitchen wins on all levels. First, the kitchen has large windows and a glass door that let in floods of natural light, brightening up the room and adding life and vigor to it. 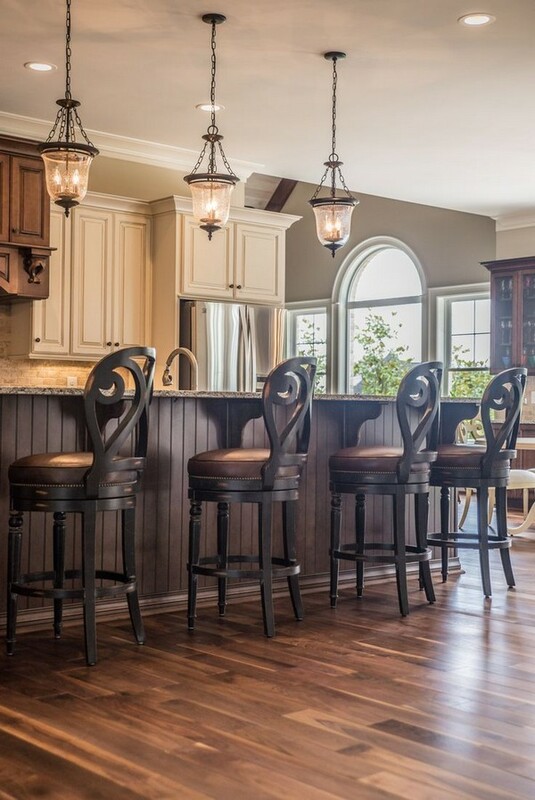 The artificial lighting sources help add character and a touch of elegance and uniqueness to this kitchen. 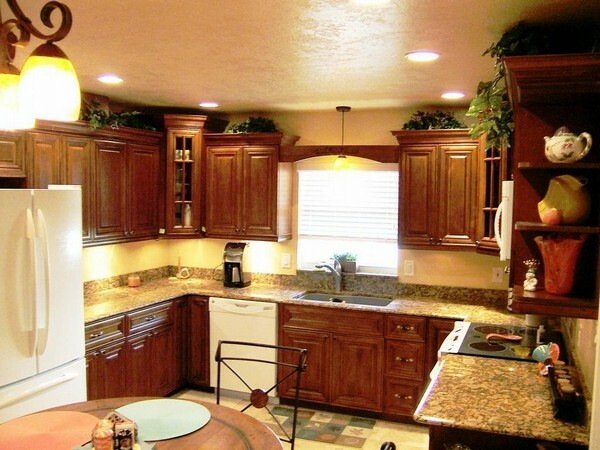 There is in-cabinet lighting that comes in a deep orange at the top cabinets and blue at the lower vertical cabinetry. 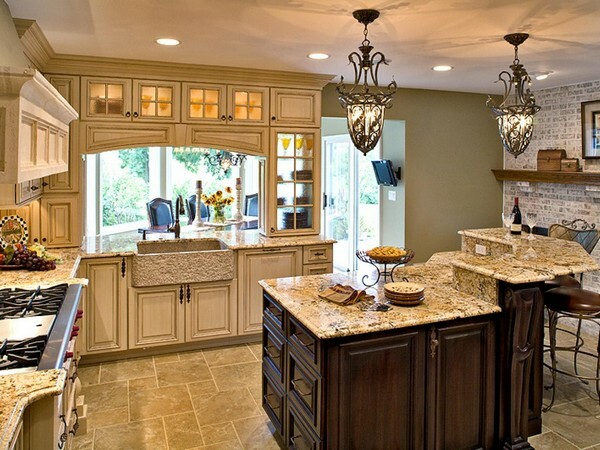 The recessed in-ceiling lighting works perfectly to complement the unique antique-style glass and metal chandeliers, with the latter acting as accent lights to illuminate the unique island with a brown stone countertop. 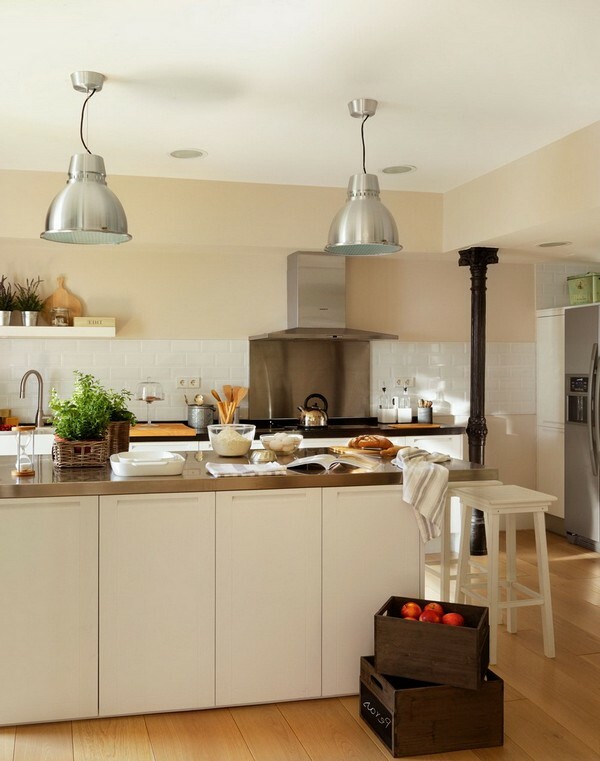 If you want your lighting to have the effect of brightening and livening up the kitchen, then there are so many different ways to do it. 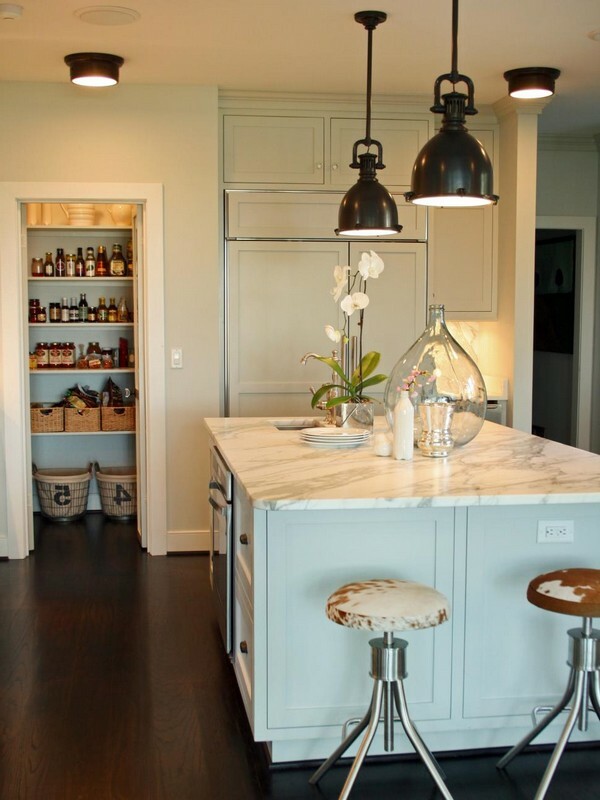 Do not limit yourself to just lighting fixtures. Lighting fixtures, when combined with certain bright accessories like bright flowers, have the effect of brightening up the room effortlessly. The tip is to get creative. Flooded lighting concepts are best if you wish to illuminate the entire room. However, it is usually even better to add a few accent lighting fixtures to illuminate key points and objects in the room. 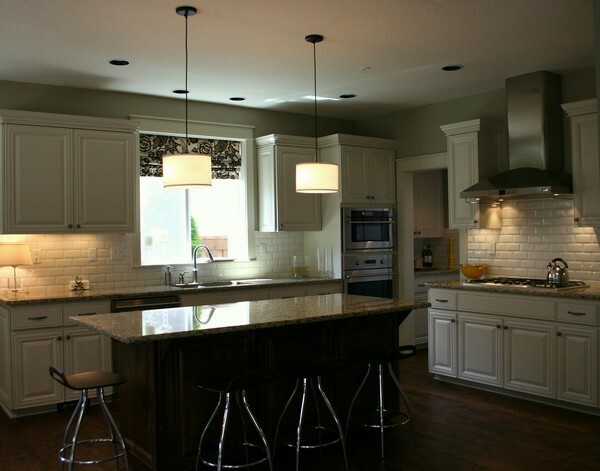 Here, accent lighting has been used to highlight features like the tile backsplash and the countertops. Previously, we saw a combination of recessed in-ceiling lights with chandeliers and here, we see them paired with pendant lights. 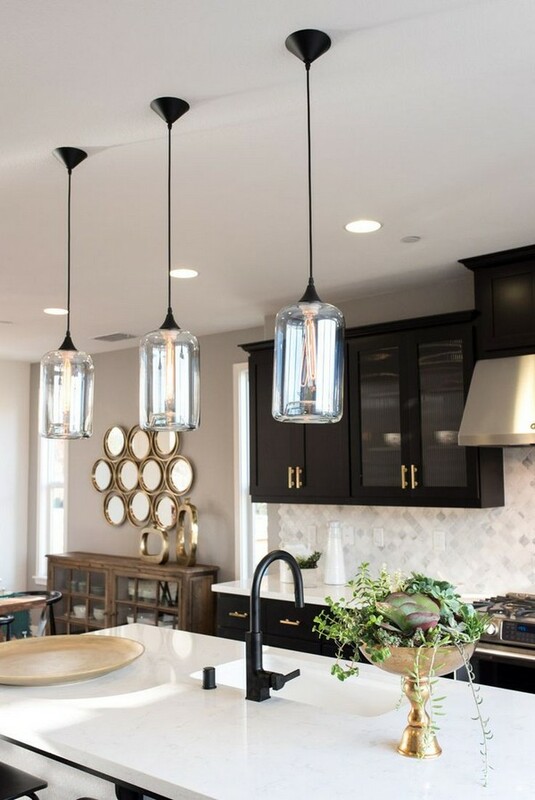 Pendant lights give the best lighting effect when combined with some other lighting fixture that gives light at a lower level. 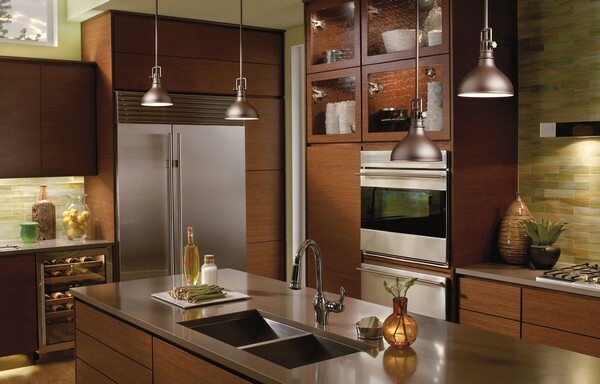 As you may have noticed from this article, different kitchen designs have different types of lighting fixtures. 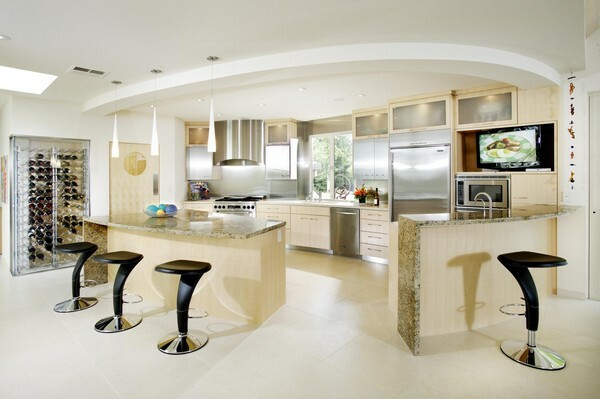 If you would like to learn more about kitchen designs, then our section on kitchen designs will give you more insight.